Little Man at the start line! So focused! While he was waiting for the raffle drawing after the race, I had camped out on my back on a blanket of sorts under a tree in a sea of dirt. A man came up to me and asked if I was Melissa, and I said yes. He proceeded to talk about how he’d always wanted to go on one of my gravel rides, but he heard I was too fast, like hadn’t I won stuff in the past? !, but his friend said the speed was achievable when he went, which surprised him, but he’d like to join on a future ride, etc. 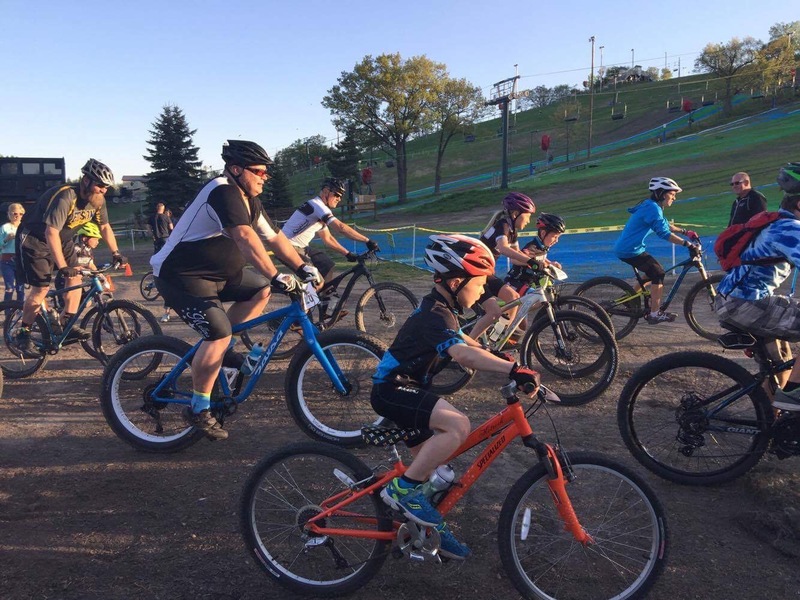 I had to let him down by saying that there likely wouldn’t be any more gravel group rides led by me this year, and yes, I WAS faster in the past, but lately some spine issues have really been slowing me down. He apologized and walked on. I do wonder how much of my loss of high end speed is from the decline of my spine and nerves, or if 2015 was all beginner’s luck and that’s behind me? LOL. Time will tell. 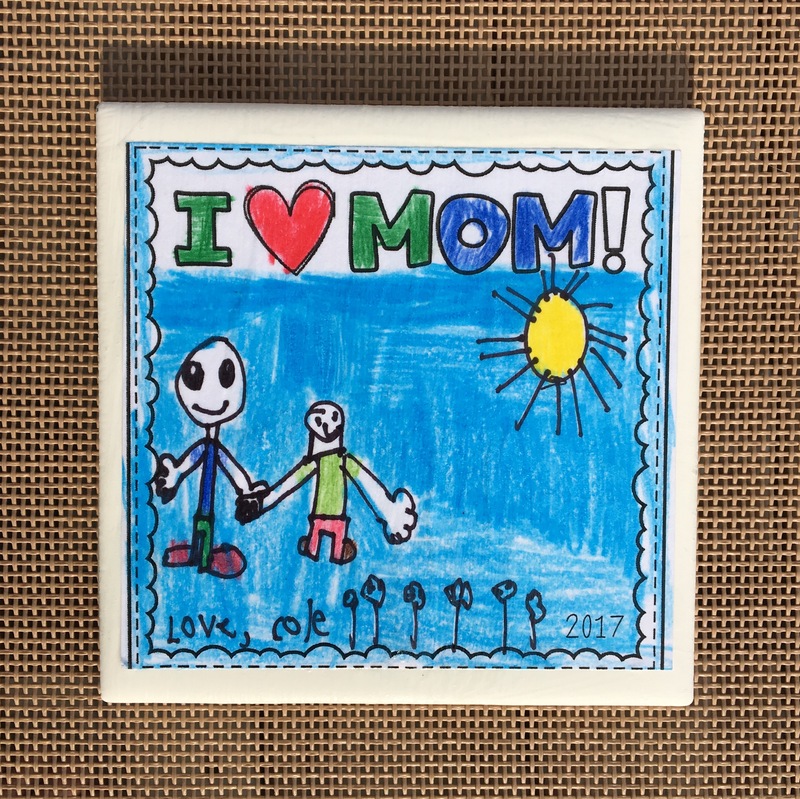 My Mother’s Day coaster – I love it! Mother’s Day weekend was pretty great, all things considered. Multiple weeks ago my boyfriend asked me, “Would you mind if my mom cleans when she comes up for the weekend?” Me: “Um, no?! Why do you even ask?” Him: “Well, sometimes people don’t like that sort of thing.” Me: “Huh.” So she came up, and clean she did! It is so relieving to know that the house is in order again. I can keep up with laundry in my current state (it requires minimal “out of bed” time), but actual cleaning / scrubbing is a no-go. She cleaned the kitchen, bathrooms, scrubbed floors, washed trash cans .. it was effing amazing. The house is clean and I feel less tortured by my mental to-do list while lying around the house every day. We also managed to do some grocery shopping so now the fridge is loaded up with more vegetables and less junk, so maybe I can slow down my current “my back hurts pity party” weight gain / eating bonanza. Maybe. The weather has allowed for some more quality deck time, and this weekend I did a better job of putting on sunscreen so my forehead shouldn’t peel again. 😉 I’m also experimenting with Electric Muscle Stimulation to try and maintain some muscle mass, but I think it’s a long shot. I did manage to induce some delayed onset muscle soreness, so it has to be doing SOMETHING, right? ?